Jack de Belin has been cleared to play in the NRL as he on Tuesday pleaded not guilty to sexual assault charges in a Wollongong court. While the NRL has touted a tougher line on off-field player behaviour after a series of ugly off-season headlines, a spokesman indicated it wouldn’t change policy to stand de Belin down until the case was decided. “The matter is before the courts and the player has pleaded not guilty,” the spokesman said. 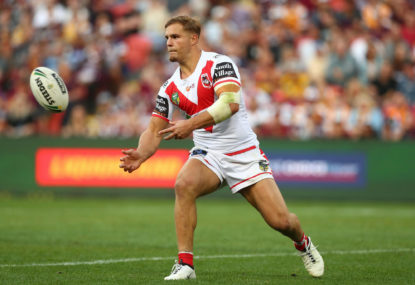 De Belin will now be available for the Dragons’ first trial match against Newcastle at WIN Stadium next weekend. Their round nine clash against the Auckland-based Warriors will take place at Suncorp Stadium as part of Magic Round, which involves all teams playing at the same ground.